There are many good reasons for teachers not to bully children. First and most obviously, it's wrong, followed closely by the fact that it is illegal and you could lose your job if you engage in it. We as educators are meant to build the capacities of children, be honest with them but also fair and kind, and if we humiliate, belittle, and hurt children, those very basic goals are not going to get accomplished. We can all agree on that, right? Because I'm wondering what teachers along the way damaged some of our elected leaders so badly that they seem bent on spending their adult lives getting even. The latest example is Gov. 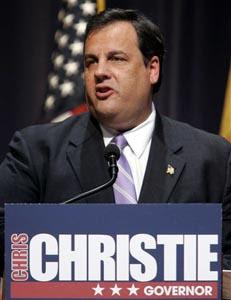 Christie, across the water in New Jersey, calling (again) for dismantling tenure and for voucher programs. This follows hot on the heels of Gov. Cuomo and Mayor Bloomberg deciding that schools can't be trusted to come up with evaluation frameworks that are fair and comprehensive and that such a system needs to be in the hands of Tweed/Albany/Trenton/etc. bureaucrats. Apparently supervisors in every other walk of public life are perfectly capable of evaluating even unionized--yes, unionized!--employees, but principals and schools can't swing it. I emphasize that because I feel that, although, yes, we're still getting S and U at the end of the year, my supervisors give me frequent, specific feedback that is helpful and positively affects student achievement--not because someone who's never spent five minutes as an educator handed them a checklist and told them to, but because they care about our students and about my development as a professional. I don't know if my supervisors are just administrative Super-people or what, but yes, it's possible. I still feel that my rights are respected and considered while giving me the chance to improve. But anyway, colleagues, just make sure you're nice. Don't let your babies grow up to be governors.